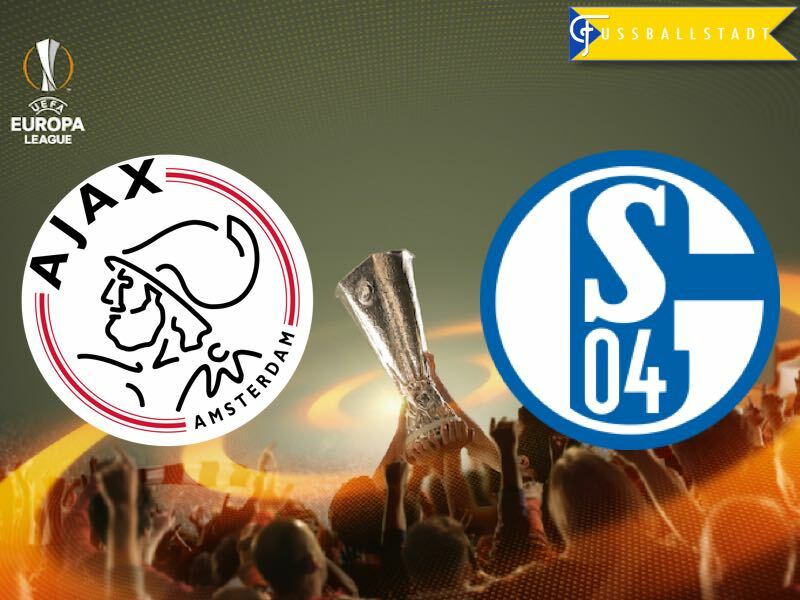 Ajax vs Schalke 04 – Thursday 20:05 BT / 21:05 CET Amsterdam ArenA – Amsterdam. The Eurofighters are back! It has been 20 years since Schalke won the UEFA Cup—the predecessor of the Europa League—and now another generation of die Knappen are making their mark on European football. After having eliminated Borussia Mönchengladbach in the round of 16 of the Europa League, Schalke face Ajax in the quarterfinal. Both teams have won the competition on one previous occasion—Ajax in 1992, and Schalke, as mentioned above, in 1997. Given the long, and successful history of both clubs in European competitions, it is somewhat surprising that the two clubs have never met in a competitive fixture. At the same time, there are some parallels between the clubs both on and off the field. On the field, Dutch striker, Klaas-Jan Huntelaar, can claim to be a legendary striker for both clubs. Huntelaar has spent three seasons with Ajax (from January 2006 to January 2009) scoring more than 100 goals during this time with Ajax. Now in the twilight of his career, at Schalke, Huntelaar can also claim to be one of the most productive forwards in Schalke’s history—his 81 goals in 171 Bundesliga games rank him second in Schalke’s all-time goal scoring behind Klaus Fischer. But Huntelaar’s time at Schalke appears to be coming to a close. Indeed, Die Knappen are in a transitional year this season. New personel in the likes of Breel Embolo, Benjamin Stambouli, Nabil Bentaleb, Yevhen Konoplyanka, and Coke, as well as winter signings Daiel Caliguri, Guido Burgstaller and Holger Badstuber underline that Schalke are in a rebuild. This rebuild has been slowed down somewhat by injuries to key players. At one point this season, Schalke missed their entire nominal starting eleven. As a result, the club is lingering in mid-table with 37 points. The club’s recent 4-1 victory against Wolfsburg, however, has ignited the hope that the club could still reach the Europa League places in the Bundesliga—the gap is just four points. But the club’s inconsistency in the league is, in fact, another parallel to the 1996-97 season. Schalke may have won the cup that year, but was dangerously close to the relegation zone at one point, and was only stabilized by Huub Stevens, who kept the club in the league, and spurred them on to win the UEFA Cup. The victory in the UEFA Cup secured the club a place in international football. With Schalke’s performances in the league, winning the competition this year, and gaining a place in the Champions League as a result, would make it easy for fans to forget the inconsistency in the league. Ajax Amsterdam, in the meantime, are in their most recent rebuild. Renowned for their brilliant youth academy, the Dutch club is a giant of Dutch football. But much like Dutch football in general, Ajax have struggled to maintain their international top club status. Nowadays, Ajax are simply an academy club for Europe’s elite clubs, and has to give up its most talented players before they can reach the level of a bona fide stars. Despite only being in second place in the Eredivisie, however, Ajax’s current crop of young talent looks interesting. This is especially evident when one considers the club’s run in the Europa League. Under head coach, Peter Bosz, Ajax have a talented squad that includes the likes of Kasper Dolberg (19), Hakim Ziyech (24), Justin Kluivert (17, and son of Patrick Kluivert), André Onana (21), and Brazilian forward David Neres (20). With these young players in the squad, Ajax should be able to, once again, challenge for the top in the Netherlands, and could even become a force in European football once again. Whether the time is now, however, remains to be seen because, talented or not, the experience playing Schalke may just be a step too far for them right now. Bought from FC São Paulo for €12 million in January 2017, David Neres is considered one of the brightest talents in South America. 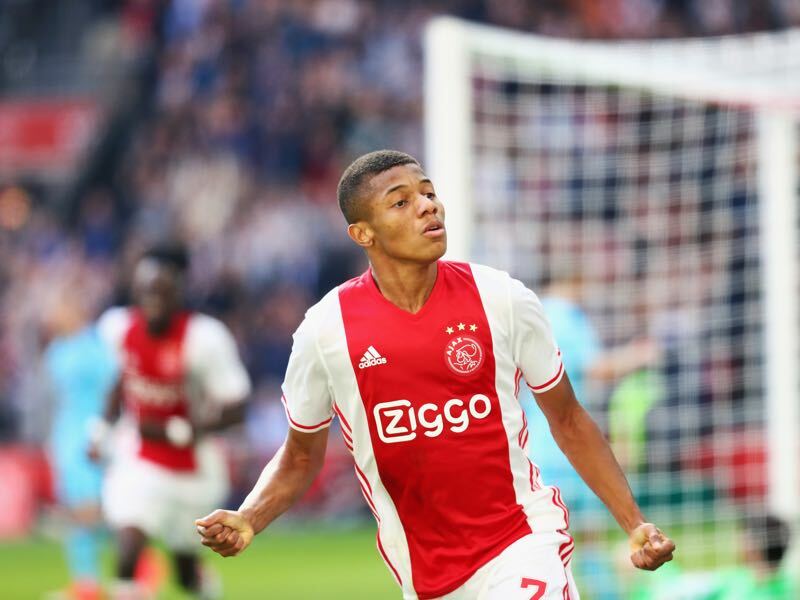 Signed by sporting director Marc Overmars, it was expected that David Neres would need some time to develop at Ajax. After missing the first three games while on national team duty, Neres was given only limited time in the following four games. Since matchday 28, however, he has been featured more regularly, and was given the start on matchday 30 against NEC Nijmegen. The Brazilian scored one goal, and assisted on another, which hints at his limitless potential. Similar to Ajax, die Knappenschmiede—Schalke’s famous youth academy—has produced countless talented players. Schalke’s prolific youth academy is the brainchild of Norbert Eigert, who is considered the most talented youth coordinator in German football. Under his tutelage, the club has produced the likes of Manuel Neuer, Benedikt Höwedes, Julian Draxler, and Mesut Özil, who all won the World Cup with Germany in 2014. Schalke’s current squad also includes several promising talents, among them, Thilo Kehrer, who has managed to make a strong impression over recent weeks. 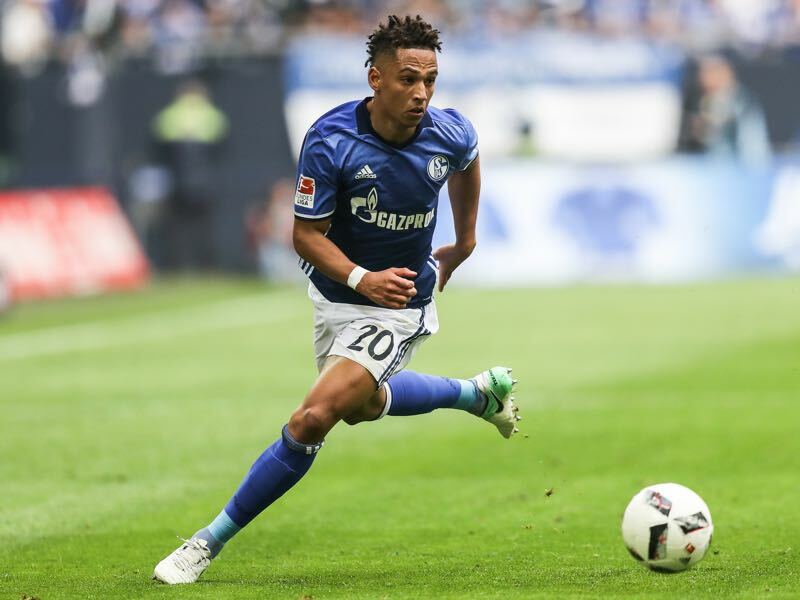 Playing in the right back position Kehrer looks like the latest promising German youth talent developed by Schalke. The clubs are meeting for the first time in UEFA competition. 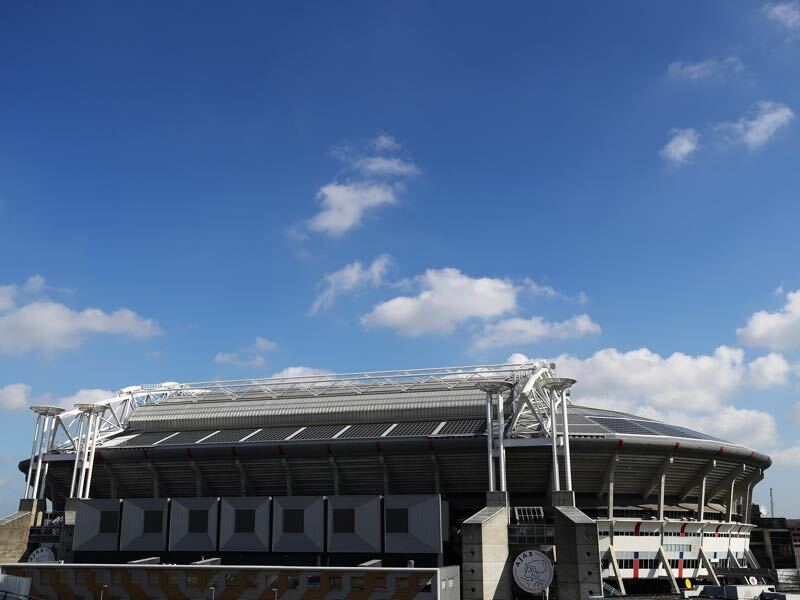 Ajax’s 32 games against German sides have ended W20 D5 L7 (W13 D1 L1 in Amsterdam). Those matches include the final of the 1987 European Cup Winners’ Cup, when they beat Leipzig 1-0 in Athens. Ajax lost 4-1 to Borussia Dortmund in their most recent encounter with German opponents in the 2012-13 UEFA Champions League group stage. It was their first home defeat by a German team. Schalke’s eight games against Dutch sides have ended W3 D1 L4 (W3 D0 L0 at home – W0 D1 L4 in the Netherlands). All three of those home wins were by three-goal margins.